As we're still in the throes of winter we are definitely getting ready for some color in our white landscape. 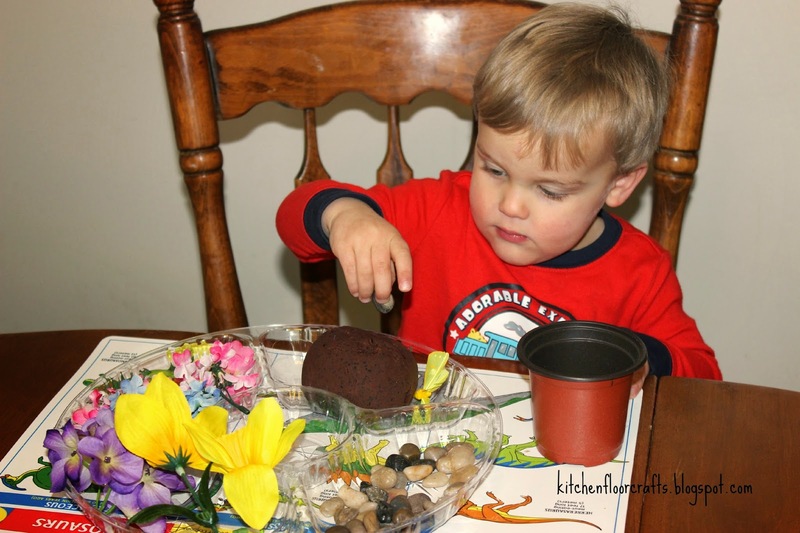 A recent trip to the dollar store inspired us to try some playdough play with a spring theme. 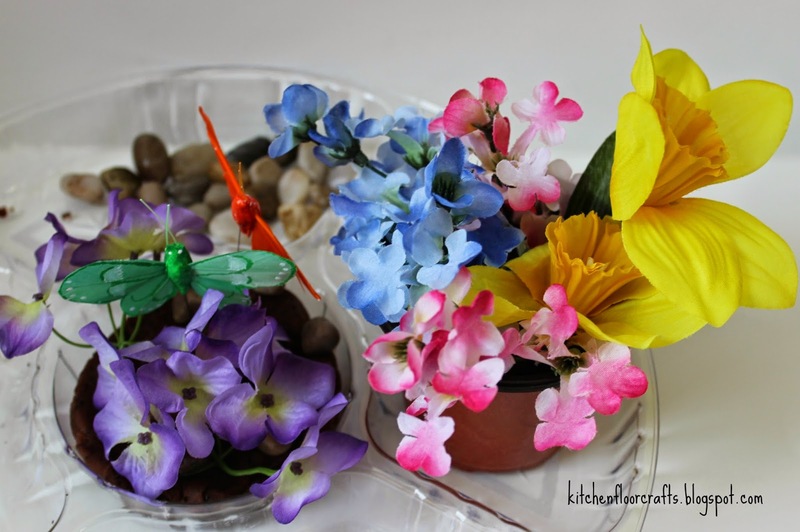 At the dollar store we stocked up on colorful fake flowers, florist rocks, floral butterflies, and small plastic pots. Already the colors started to make us smile! And in an effort to create a playdough that looks a little more like real dirt, we got creative with Daddy's left over coffee. 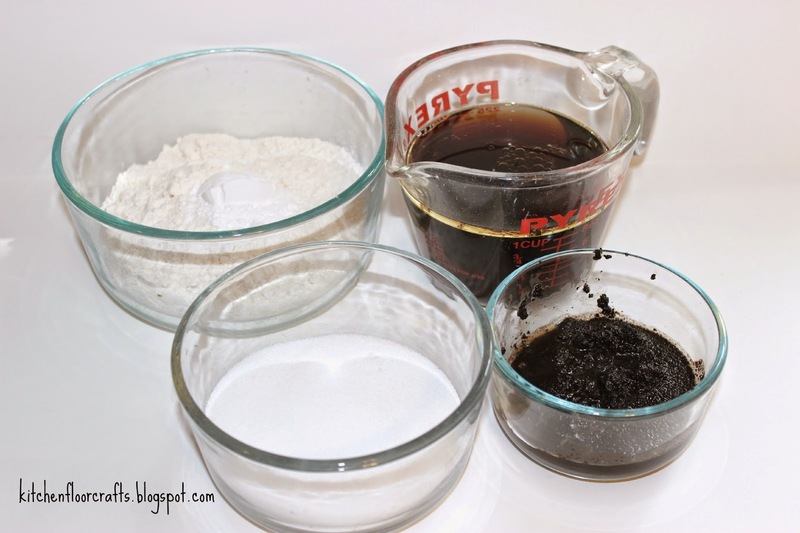 We still prefer to use a cooked playdough recipe. 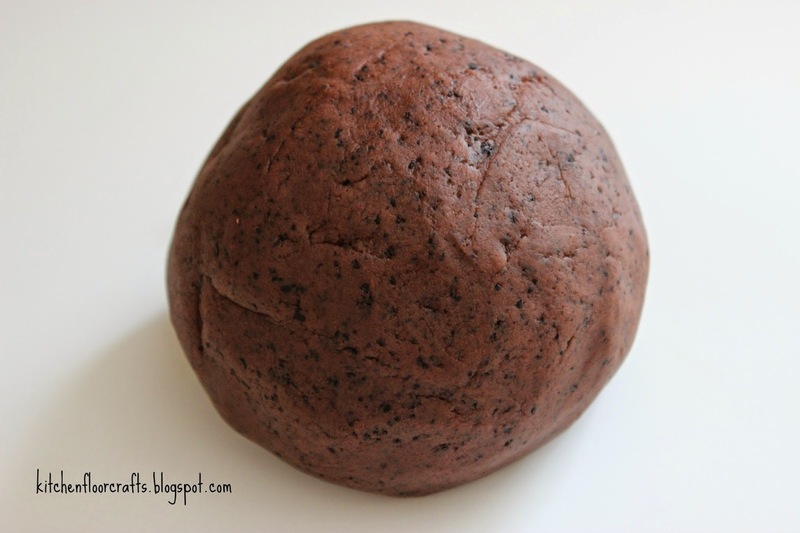 For our coffee playdough we subbed in a few different ingredients to our basic recipe to come up with this dark, coffee scented smelling playdough. 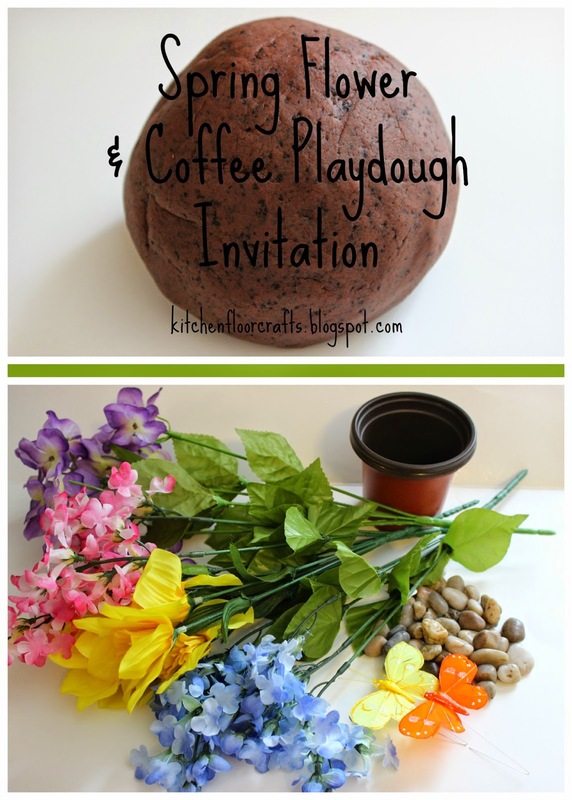 *We used what was left in the pot from Daddy's morning coffee and the grounds he'd used to make that pot. 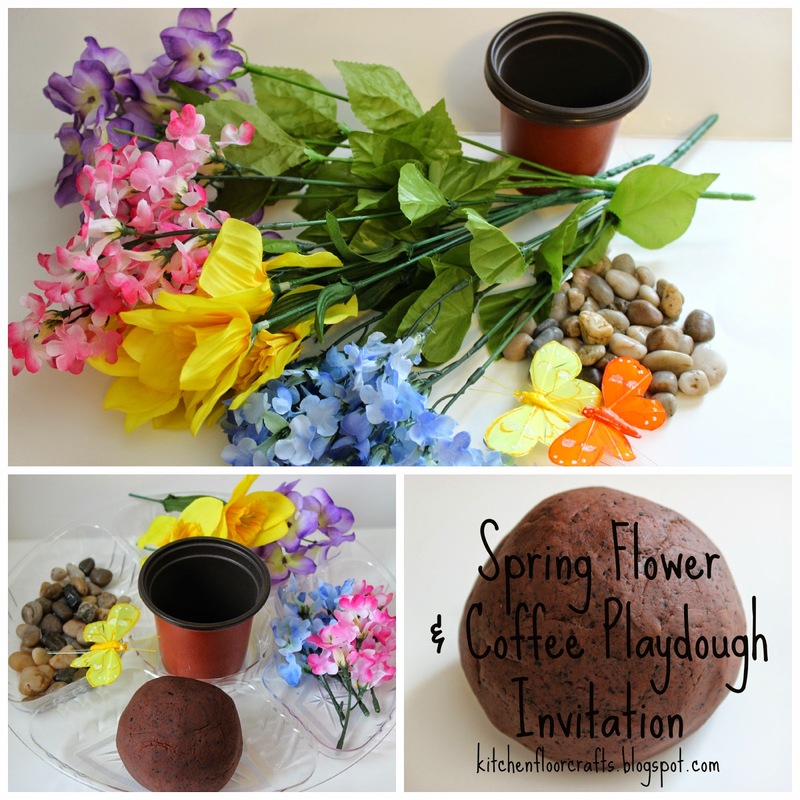 The playdough smells exactly like a strong cup of coffee and has a great, potting soil look. But it's still soft and easy to use! 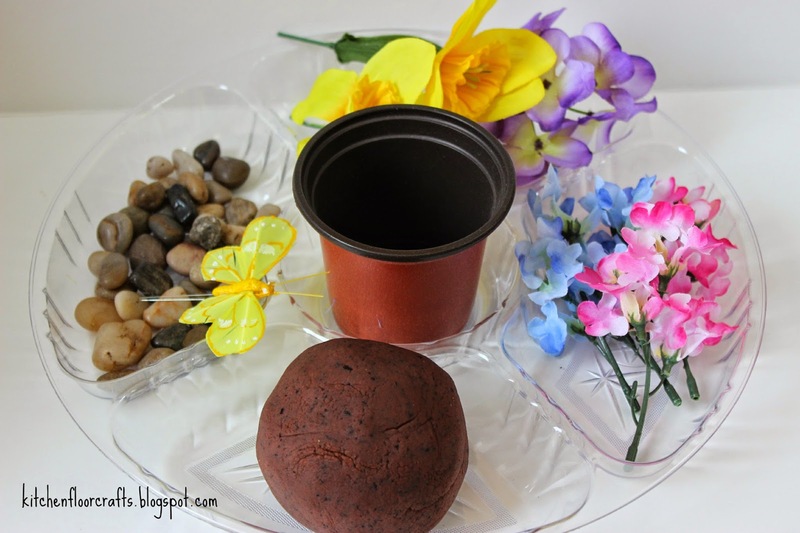 Once I'd made the playdough I set each kiddo up with a playdough tray. 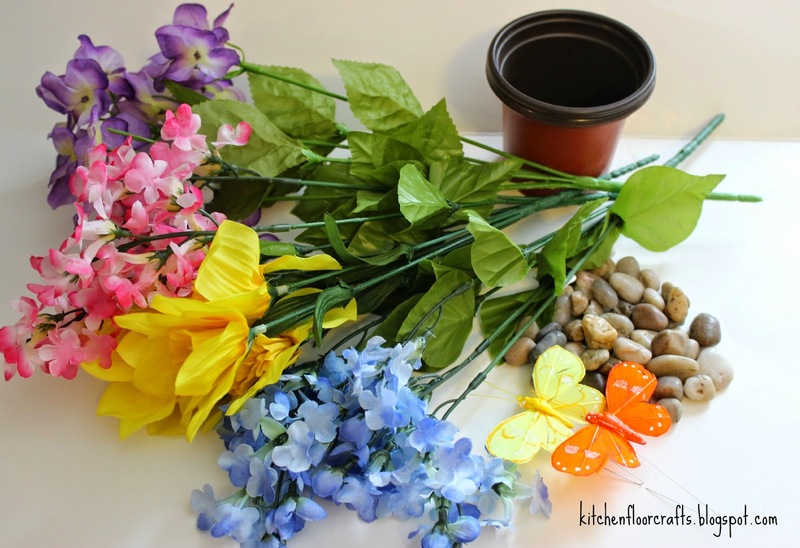 Each tray contained half the playdough, several fake flower stalks, a handful of rocks, a butterfly, and a small plant pot. Each kiddo dug into the playdough a little differently. Little Brother wasn't so sure about the smell, which is funny as he's the iced coffee hound, but played a little with all the materials. 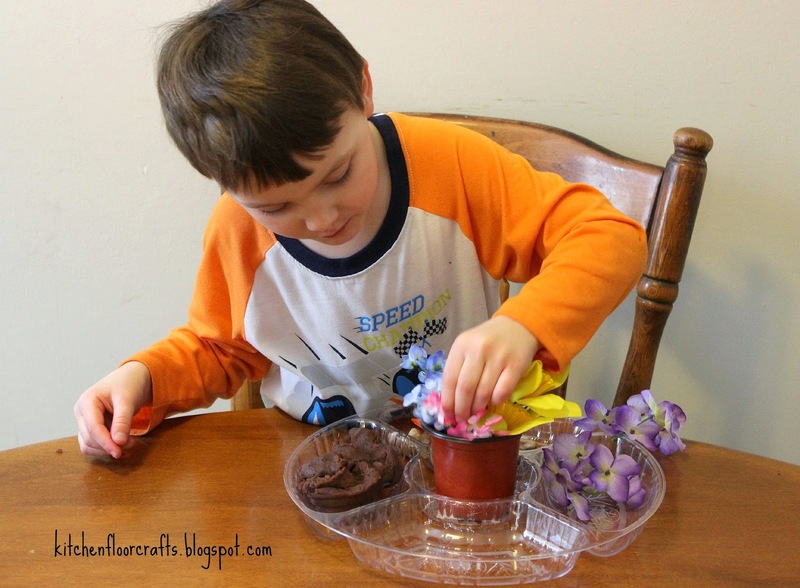 Big Brother loved the smell and instantly began planting flowers and creating a garden. His end result brought us a little bit of color on a very cold morning! Spring is coming at some point, but until then we're going to have to keep creating our own colorful moments! What a fab frugal idea. I love the idea of using old flowers that you can usually find on the charity shop. Thank you for joining in with #FabulouslyFrugal this week. Please do come back on Sunday to see if you have been features and join in again.